As we all know technology is growing very fast. We use multiple gadgets with Internet support, and the Internet is constantly being monetized in a different way. Online ad industry is increasing at a rapid pace, especially as most businesses now have an online presence. Brands are spending more on online advertising than ever before, and many are exploring native advertising as a new option. As more native ad networks develop, ad quality can go down when using specific networks. Not all networks focus on quality like Revcontent. So here I am with latest native advertising and content recommendation. 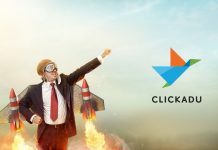 No doubt we can earn a lot from old techniques like display ads, text ad or from affiliates. But from the case study of recent surveys, it found that the users prefers native Ads as compared to the conventional ads. Advertisers get a better ROI with native ads over banner ads, and it gives more cash to their publishers. Now, publishers spend time trying to find the best native ad network, but it can be hard with so many networks. So here I am going to explain one of the best and high performing native ad network “Revcontent“. What Kind Of Network is RevContent ? Why To Choose RevContent Instead Of Others ? How To Join On RevContent ? Revcontent is native ad based ads network. It provides various size of widgets, which be seamlessly integrated on websites or blogs to generate revenue. If you are an advertiser with a content based blog, it’s a great choice. If you are publisher, then you can earn more with Revcontent than using any other network. Suppose you are using Google adsense, but side by side, you can use Revcontent ad widgets at then end of an article, which will recommend similar tutorials. This means you will earn some extra revenue from your blog because of the additional views and increased engagement. Revcontent has over 100 Billion recommendations per month. It is trusted by some of the most trusted media outlets such as Forbes, NBC News, CBS Local, E! and Fantasypros. 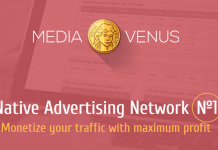 It is one of the largest and highest performing native ad network in the world. It has trusted and technology team with the years of experience and was built over the last decade. So, if you are going to find best native ad network, then join Revcontent today, and with its amazing features, you can drive revenue for your website. Not only do you generate revenue, but you increase user engagement with some of the best quality native ads. Revcontent is the world’s fastest growing native advertising network with 100 billion content recommendations a month. Performance- Their partners consistently see 2X higher RPMs compared to other competitors. Selectivity- As the most selective and premium native network, they deny 98% of sites that apply. User Experience- Users deserve more than cookie cutter widgets. Their engagement team takes pride in creating fully customized, native widget solutions that enhance the user experience on your site. Customer Service- Dedicated account managers provide 24/7 expert support and native solutions to maximize revenue potential. Technology- Algorithms and machine learning make intelligent recommendations that optimize revenue. Revcontent is the largest and highest performing native ad network. So join today and drive big revenue with the help of this native ad network. If you want to register on revcontent then first of open the Revcontent website. Then Go To sign up page for creating new account and then click on Sign Up button on the right side top. There are three different criteria join on RevContent. You can choose one of the three options Advertiser, Publisher Or Both. Provide then an accurate profile information and then click on Register button. As we all know, internet marketing is increasing rapidly. There multiple ways to promote your business make money online. As webmaster, we can choose various techniques to earn money. But we always need to be staying up to date on the latest technology. Native ads are proven to perform much higher than traditional ads. No doubt there are hundreds of native ad networks.But I recommend Revcontent if you’re looking to increase your earnings and better your site.Don’t forget to share your experience with us about RevContent.